Happy 2013! I am so excited to start my second full calendar year of couponing! I am really finding that I have learned a lot from my shopping in 2012 and it is nice to know what types of sales and deals to expect in the year to come. 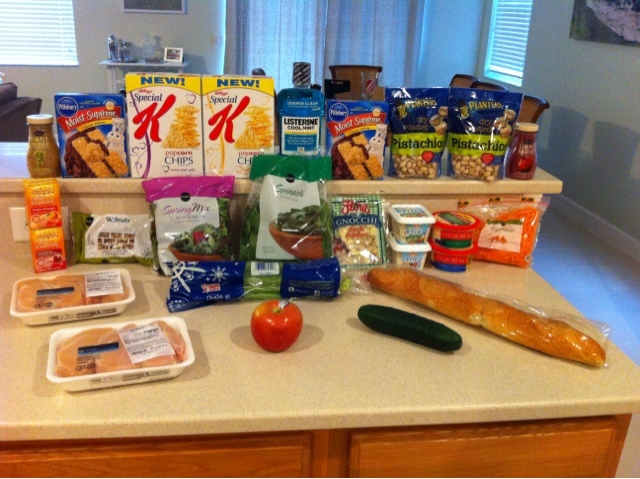 I spent under $40 this week and was able to stock up on chicken, good cheeses, veggies, walnuts, pistachios, and grab cheap mouthwash and FREE Emergen C. I still have tons of milk and eggs from the holiday sales as well as lots of pantry staples so we really didn't need much this week. I just barely hit my $60 before coupons so I was able to split up my trip and use two $5/$30 Winn Dixie coupons which really help lower my totals when most of my food has no coupons.